An innovation in modern conservatory living, a tiled conservatory roof from Supalite helps create a comfortable living space for you to enjoy throughout the year. Perfect for a new conservatory or a replacement for your current roof, the levels of thermal performance on offer are absolutely incredible. A major pitfall of old conservatory roofs is their inability to maintain a consistent temperature throughout the year. Old glass or polycarbonate variants are major culprits of this. However, with U-values of just 0.18 W/m2k, a Supalite tiled roof is amazingly energy efficient, retaining exceptional amounts of heat in the winter and keeping your conservatory’s temperature cool during the summer. The tiling will keep your conservatory nice and quiet too. Here at T&K, we also offer the Supalite Plus replacement roof which boasts of even better U-values of just 0.13 W/m2k, making it the warmest of its kind on the market. Internally, a plastered ceiling is present and T&K can incorporate lighting and speakers into it. Externally, we can match the tiles to your current property, ensuring your conservatory feels like an extension of your current living space. And for those concerned that a tiled roof will darken their conservatory’s interior too much, we can fit rooflights into the structure. Our Supalite Plus tiled roofs have a U-value of 0.13 which makes it the warmest on the market. 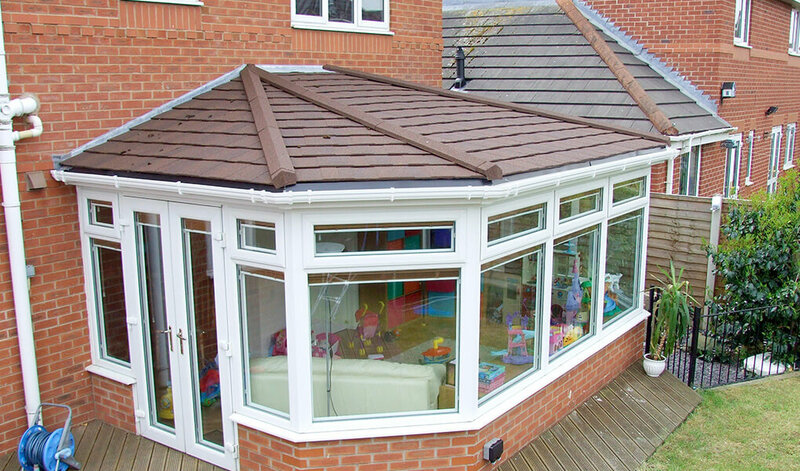 A tiled roof will match your home thanks to a full range of colour matching fascias, soffits and gutters. The lightweight tiles will stay in good condition with little need for maintenance. The tiles in use come with a 20 year guarantee, however they’re expected to last for over 50 years. There are two different tile types available on our Supalite tiled roofs, extralight and tapco slate tiles. Extralight tiles are available in Charcoal, Ember and Walnut, whilst tapco slate tiles are available in Stone Black, Pewter Grey, Brick Red and Chestnut Brown. 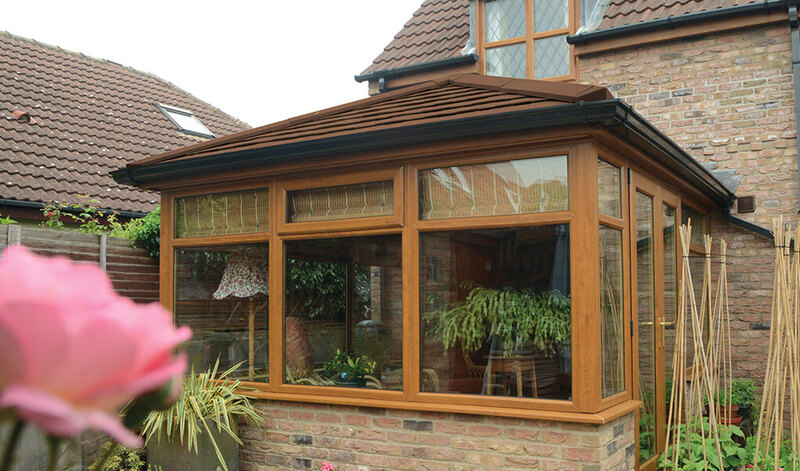 Roof vents can be incorporated, for additional light and ventilation in your conservatory. This will add more value than a totally solid roof over a dark room. Here at T&K, we also install the Ultraroof tiled roof, another tiled conservatory roof which offers similarly excellent benefits to the Supalite version. Alternatively, fully glazed and lantern conservatory roofs are available. Recessed spotlights and speakers can be integrated into the internal ceiling. A major benefit of integrating them into the ceiling is that you can enjoy light and sound without having to use up additional space. T&K can also fit external lights on a Supalite tiled roof, allowing you to illuminate your garden.